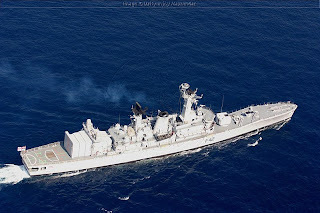 NS Vindhyagiri a Nilgiri class frigate which collided with foreign merchant vessel M V Nordlake on Sunday evening around 5 pm , and later the ill fated frigate also caught fire due to collision ,today around afternoon it sank off the coast of Mumbai . 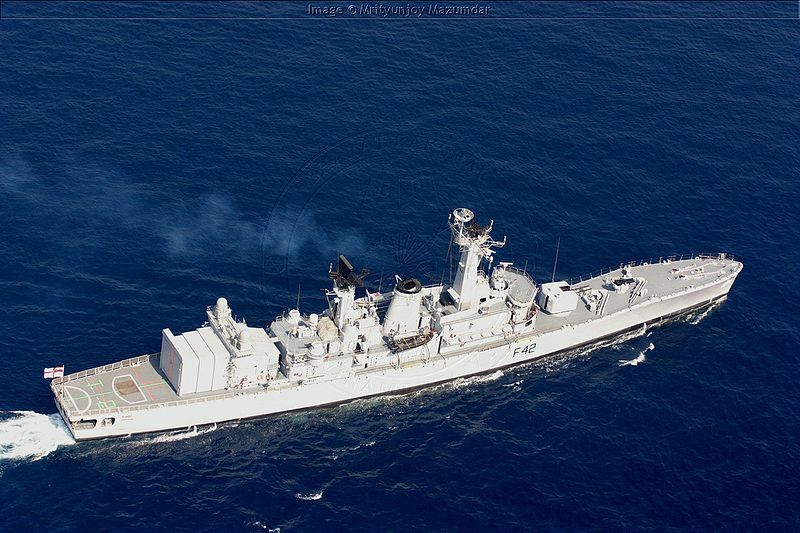 All naval officers and sailors have been rescued safely and not causalities have been reported so far , According to an official, INS Vindhyagiri was returning to the dockyard while the merchant vessel was leaving Mumbai harbour when the two collided. According to later reports, the vessel has settled in shallow water next to a pier. No one died, but . . . Given the Indian Navy's limited heritage (accomplishments, not time) and mishaps relatively close to its shores in recent years, it is becoming more difficult to take comfort in her vision of operating nuclear armed warships. Some of the Indian news reports I read indicate that the Vindhyagiri was taking family members of the crew out to celebrate Navy Day. The Cyprus flagged merchant ship's captain has been arrested by the police. The resulting fire was pretty impressive. From what I was able to find it sank in relatively shallow water near a dock. Google image search the ship's name and you'll find more photos.